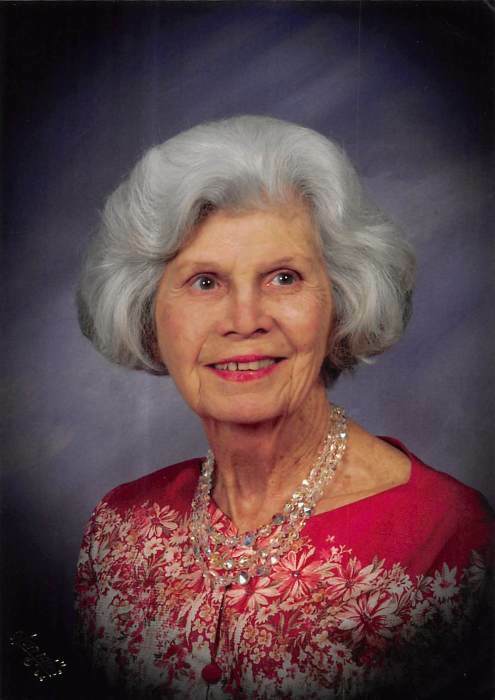 Venita Joan Milhollin, age 92, of Douglas, Georgia passed away on Friday April 5, 2019 at her residence. Mrs. Milhollin was born on March 19, 1927, in Douglas, Georgia. She was the daughter of the late Ralph Jacob Paulk and Una Mixon Paulk. We all knew her as Mama or Granny. She taught Kindergarten, read stories over the radio for the library of the University of Georgia children’s hour, served as the wife of a Georgia Legislator, raised a family teaching us to love one another and love God. For over seventy years, she hosted an Easter Celebration and Egg Hunt welcoming the entire community to her home. She was a lady who shared gracious acts of kindness with all of whom she came into contact. She was a devoted daughter, and beloved wife who will be dearly welcomed into heaven and truly missed by those on earth. Mrs. Milhollin served as a faithful member of the First United Methodist Church of Douglas, Georgia, actively participating in the Shell-Vicker’s Sunday School Class, the Lady’s Circle, the Keenagers, and the United Methodist Women. Mrs. Milhollin was preceded in death by her husband, Henry R. Milhollin, son, George Roberts Milhollin and daughter, Sue Milhollin Futch. Survivors include son, Henry Ralph Milhollin (Jan) of Ambrose, GA; two daughters, Kathy Bennett (Stanley) of Douglas, GA and Lynn Leonard (John) of Atlanta, GA; grandchildren, Becky Futch (Isaac Kirkland) of Marietta, GA, Beth Houtz (Dave) Hahira, GA, John Futch (Lauren) of Thomasville, GA, Jacob Milhollin (Misty) of Ambrose, GA, Joshua Milhollin (Carrie) of Ambrose, GA; Joanna Milhollin of Ambrose, GA, Ashley Woods (Rebecca) of Douglas, GA, Amanda Brulte (Dr. Mark) of Douglas, GA; Logan Leonard of Charlottesville, VA and Jack Leonard of West Point, N.Y.; great grandchildren, Ethan, Hunter, Matthew, Lacey, Fielding, Hannah, Skyler, Jathan, Kate, Saylor, Aralin, Logan, Kylie, Connor, Skyler, Laurie and Addie. Funeral services will be held 3:00p.m., Sunday, April 7, 2019 at Douglas First United Methodist Church with Rev. Doug Walker and Rev. John McGowan officiating. Entombment will follow at Douglas City Cemetery. The family will receive friends Saturday evening from 6pm until 9pm at Sims Funeral Home. Memorials may be made to, Douglas First United Methodist Church, Cystic Fibrosis Foundation or Juvenile Diabetes Foundation.